Dr. Martin Luther King, Jr. first delivered the now famous refrain “I have a dream” in Rocky Mount, North Carolina, on November 27, 1962. 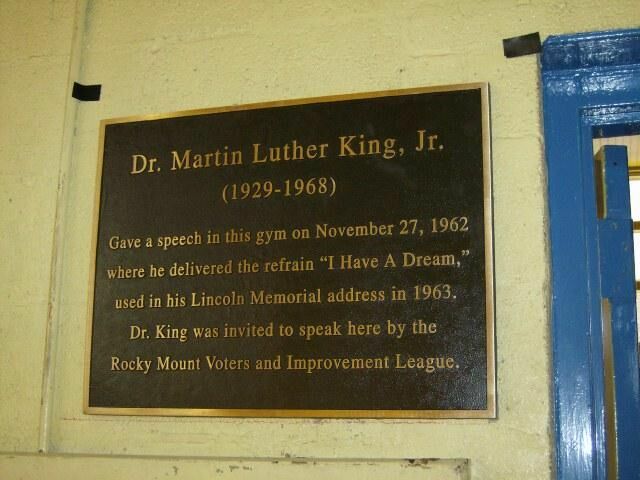 This speech in Rocky Mount is part sermon, part mass meeting, and part civil rights address. The rare and inspired delivery of all of his most dramatic endings, and the unusual overlap of genres, makes this address one of the most unique and historic speeches ever delivered by the twentieth century’s greatest orator. 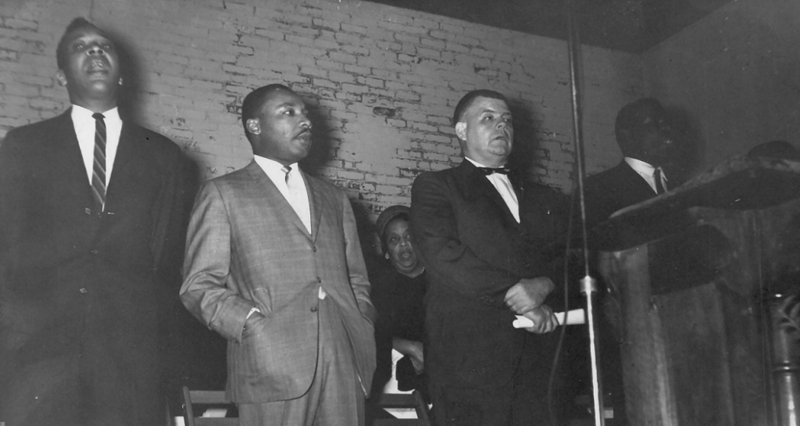 Dr. King ended his fifty-five minute speech in the Booker T. Washington Gymnasium by invoking the “How Long, Not Long” set-piece he would later use when he spoke from the steps of the capital at the end of the final march in Selma, Alabama on March 25, 1965. He then continued with eight consecutive lines of “I have a dream” before also ending with the “Let Freedom Ring” passage made famous when he spoke on the Mall of Washington on August 28, 1963. Now for the first time, this historic speech has been digitally restored so that it can be heard by everyone.